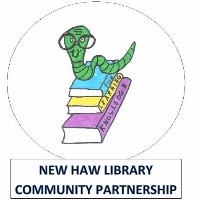 The Friends of New Haw Library have organised a Story Time for Grown Ups. The only time you get to eat in the Library. Bring your lunch and we will provide a hot drink. Relax and listen to a short story or reading from a novel. Often a discussion follows, arising from the reading. Community Library Partnership. Our Volunteers work with Surrey County Council to keep the Library open in New Haw.